Ladies and Gentlemen, boys and girls, thinkers and thunkers, THIS is the World's Greatest Thinker Showdown! 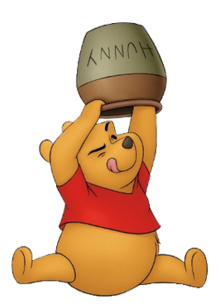 Hughes was wildly intelligent and creative, however, I'm unaware of Winnie ever storing his pee in jars. This is a tough one. As Hughes left no will I've often wondered who got the collection. 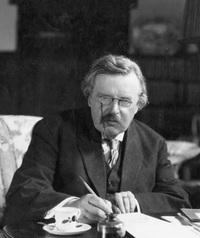 CS Lewis achieved great height of brilliance, hanging from the shoulders of GK Chesterton. This was a hard one for me to decide. Ultimately, I decided against pee and went with Pooh. I have an Inkling you may be right. Well, this Baby is giving you the Bird for the recent quality of your jokes! <audible laughter> You should have been a nominee. Ask anyone. The (poor) quality of my jokes is legendary. But at least I'm consistent. You can get away with this stuff when your hair turns white and you smoke a pipe. At least I think you can. I love the jokes. Good clean fun. 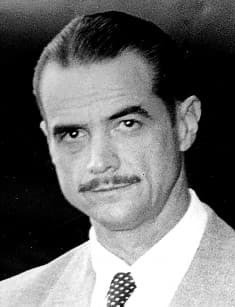 I'm more that a little ticked off over the trashing of Howard Hughes here. Like you guys don't have a pee collection. All jokes aside, I hate it that he is most remembered for some of his strange habits. Last edited by Roadmaster on Thu Jan 17, 2019 9:26 am, edited 1 time in total. Reason: Left a word out. Who says I don’t have a pee collection? It’s just weird to collect your own. Maybe we could set up an exchange. Remember what happened when we tried the pie exchange-- I'm afraid bad things would happen if this were tossed into the wind. The Yale Book of Quotations quotes Lyndon Johnson, saying about J. Edgar Hoover: “Better to have him inside the tent pxxxxxx out, than outside pxxxxxx in” (quoted in New York Times, Oct. 31, 1971). Johnson may well have been employing an already-existing expression. Last edited by Roadmaster on Thu Jan 17, 2019 1:54 pm, edited 1 time in total.